Looking for some DIY warm winter blankets? Winter is here and we all know it! Sweaters are probably still getting it’s way to keep the cold at bay, but any day from now you will need more than just a sweater. When the winter chill starts to strike, a good cozy warm winter blanket will do the trick to keep us warm. Those awesome quilts and knitted throws your grandma made for you are perfect. However, you don’t need to master the art of knitting and sewing to make an amazing blanket. Whether you want an easy afternoon project or a progressing one, here are 15 fabulously cozy DIY warm winter blankets to help you fight the winter chill! The winter chill is in the air – it’s time to grab a hot drink, a warm blanket, and cuddle up in front of the fireplace. Here in my homestead, I’m always cold, especially during summer months. So my house has a widespread of warm blankets. Though I add a couple every year, it never seems to be enough! Everyone in my homestead has their own favorite. So make one for every member of your family to ensure they’re all comfy and warm all winter long. Fill your fantasies and relive your childhood memories with this easy DIY mermaid tail blanket. It looks complicated, but don’t be fooled by the looks alone. It’s a lot easier than you think. This DIY chunky and cozy blanket offer the warmest and coziest blanket ever. It’s a massive blanket that requires large strands of wool roving and knitting. Worry not, because even if your not a skilled knitter, it’s a simple skill to learn. And once you’re finished, you’ll have a chunky and cozy blanket to keep the whole family warm. Imagine the fun if all of you fit in one blanket! 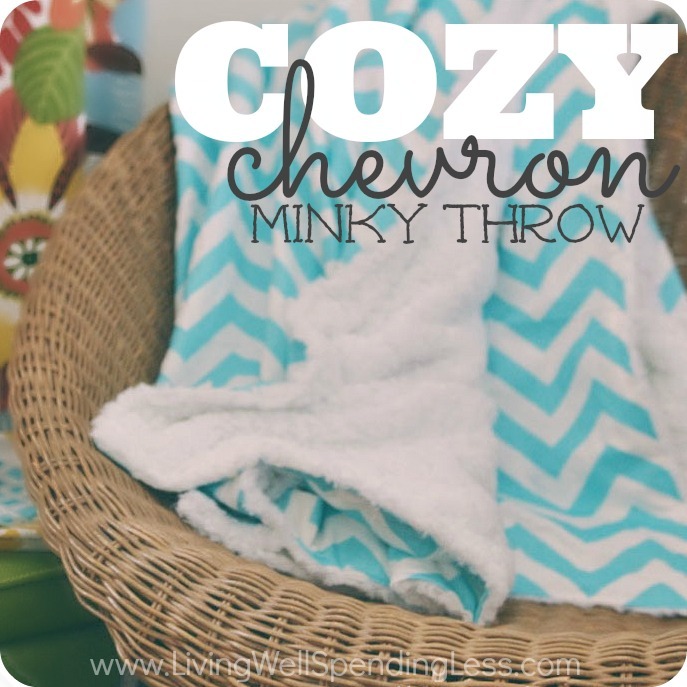 This DIY cozy chevron minky throw will not just simply keep you warm, it will also add a bit of style. The chevron pattern leaves plenty of room to get stylish. If you got children that are now all grown-up and I’m guessing you got received plenty of receiving blankets that have been left unused for years. 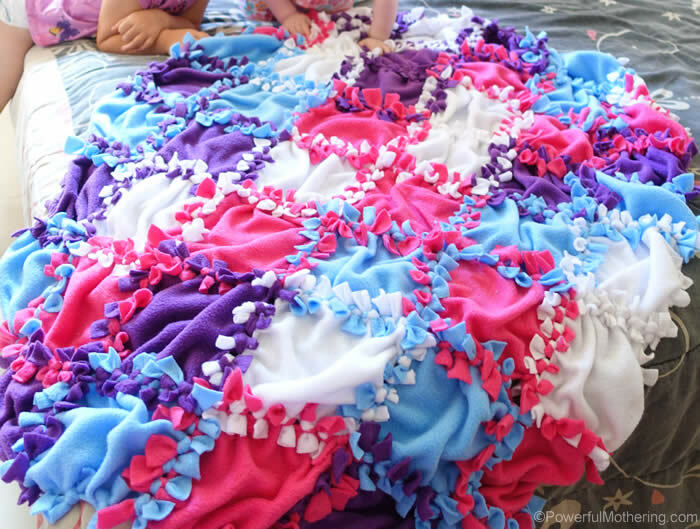 Now you already have a perfect project for them, repurposed receiving blankets to DIY winter blanket. An inexpensive hack to keep you warm! I find the creator of this DIY fleece blankets absolutely creative. Here she shares 3 easy, fast, and cute method to create fleece blankets. Each method can only take at least 30 minutes and you’ll have a more grown-up and sophisticated blanket. So, what are you waiting for? Not just one but two to keep toasty! 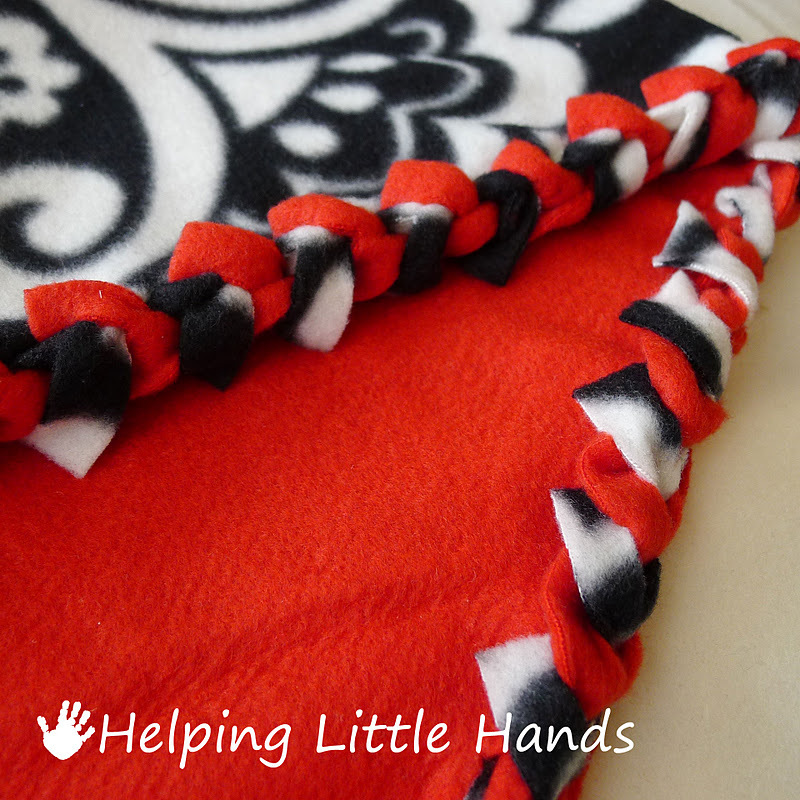 This double layered no-sew braided fleece blanket is pure work of the hands. Can’t wait to get my hands on it. This involves lots of work for your scissors but at least no-sewing. What I love with this DIY patchwork no-sew fleece blanket is you get to play with the colors. Pick your favorites and enjoy! Check everybody’s closet in your household, I bet they’ve got a hated or outgrown sweater lying there somewhere. Collect those to make this repurpose sweater blanket. If you’ve got the comfy fleece blanket that needs a little upgrading, get some colored yarn to match your fleece and include a joyful fringe around the whole blanket and in no time you’ve got a whole new beautiful no-sew fringe blanket. Harry Potter fanatics rejoice! 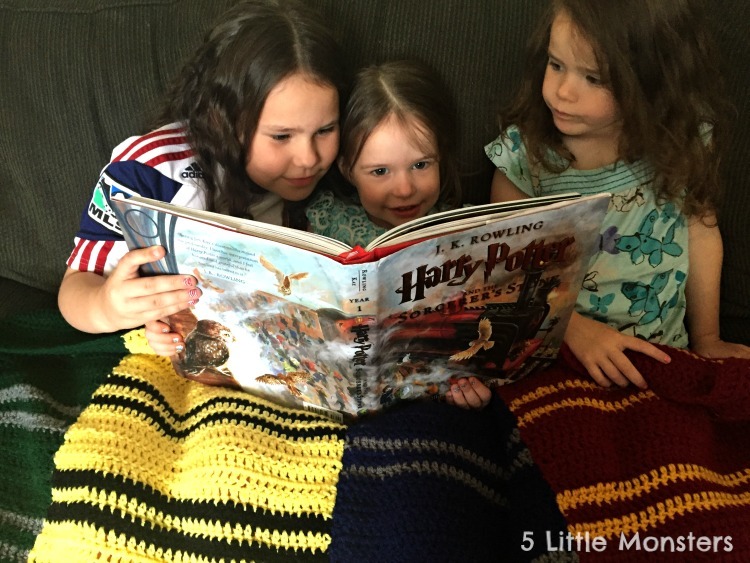 This Hogwarts house scarves blanket will surely bring you back to the self-indulging memories of Hogwarts house rivalries. Want to have the elegance of winter? This mod heirloom crochet blanket will give you that! With shades of gray and white, these two colors signify winter’s beautiful elegance. 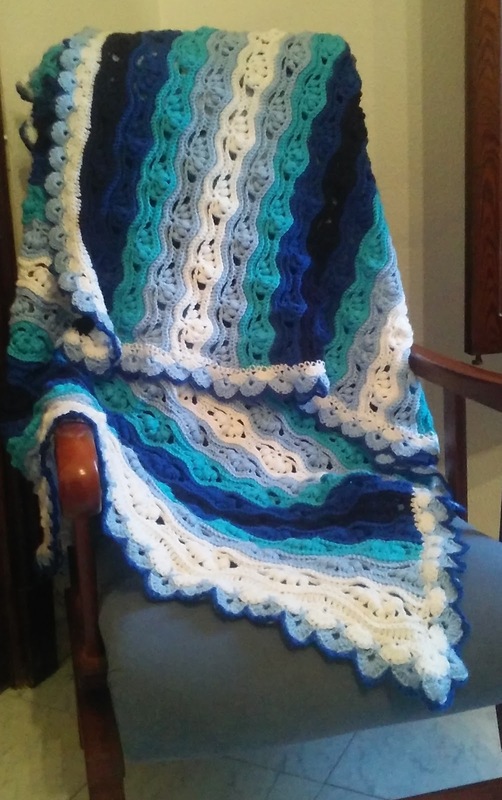 An ocean inspired blanket that will surely remind you the warmth of summer sunshine but will also give you the reminder of the winter’s beauty. 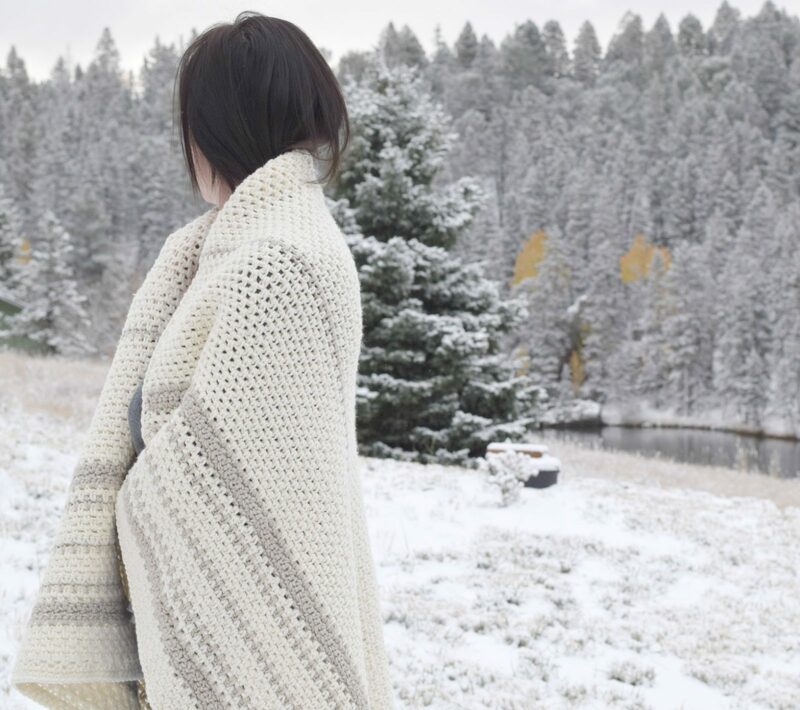 If you love both seasons, this DIY wavy blanket could be your lovely DIY winter project. Want to see how to make a no-sew fleece blanket? Check out this video from Show Me Cute! It’s the wonderful comfy time of the year my fellow homesteaders, to snuggle up under your favorite warm winter blankets, sipping your precious warm and cozy winter drinks. Pick one or two from these DIY warm winter blankets and start making now to ensure you won’t be sorry when winter chill arrives! Which DIY winter warm blanket will you make? I’m excited to know! Let me know in the comments below. 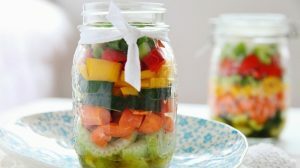 Want some cool DIY project that has many uses in self-sufficiency and even for survival? Check out 25 Awesome Paracord Knots and Ideas!